Manager/Writer - TME Consulting - Clovice A. Lewis, Jr. This section describes my work as an employee of several firms before I established Technology Media Enterprises, Consulting (TME), on March 16, 1984. Companies are listed in order of employment. Volker Dolch started Dolch Logic Instruments in Germany in 1976, to design and manufacture a line of Logic Analyzers, an important instrument in the design and test of digital electronic circuits. The company became the largest supplier of logic analyzers in Europe. In 1987, Dolch sold the company and arranged a management buy-out of its American division. In 2005, Kontron AG acquired Dolch and then sold its rugged mobile platform to Azonix in 2007. I was employed as the Manager of Technical Publications from 10/82 to 3/84. I reported to Terry Larson, who was the Director of Marketing (click here for a pdf file of my final Performance Review). By mutual agreement, I left Dolch to start my own consulting firm, Technology Media Enterprises, Consulting. Dolch Logic Instruments was my first customer (click here for a pdf file of the first Purchase Order). I was hired to work at the main plant in Dietzenbach, West Germany to convert what was called “Genglish” (combination German and English) technical manuals into “Silicon Valley English” technical manuals. The first thing I did at Dolch was to introduce the Functionally Integrated Documentation System (FIDS), which I helped develop at ARL several years prior. Click here for pdf excerpts of the FIDS Technical Manual Specification. You will see that it was the basis for all the technical publications produced by DLI since then. 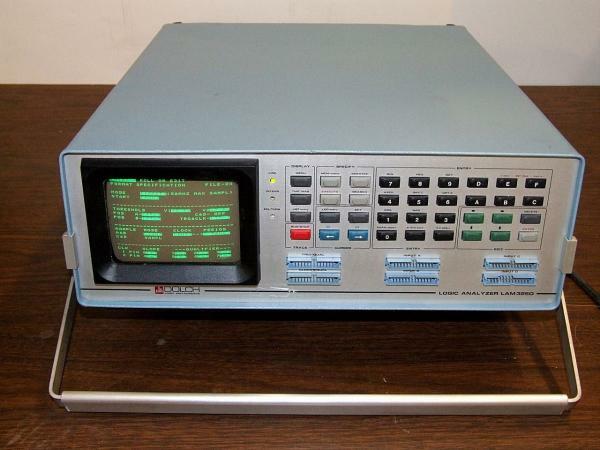 The 64300 Logic Analysis System 64-Channels/300MHz. I wrote the Operator's Manual. Dolch LAM 3250, 32-channels, up to 50MHz sampling rate. I wrote the Operator's Manual for its replacement, the very similar LAM 4850. I have been pleasantly surprised to find quite a few of the manuals I wrote for Dolch, both as an employee and as a consultant, on the internet as downloadable pdf files. I was employed from 7/81 to 10/82 at Varian Associates as Supervisor of the Technical Publications and Word Processing group. Duties included management of documentation efforts for Satellite Communications High Power Amplifiers (including Klystrons) and subsystems. I also wrote technical manuals on the complete line of Traveling Wave Tube (TWT) instrumentation amplifiers (some for aviation) available in octave and multi-octave bandwidths, covering the 1 to 40 GHz frequency range in power levels from 20 to 250 Watts. I was responsible for the accurate and timely delivery of technical manuals, training course material, and other technical documentation shipped with Varian Associates products to customers world-wide. Additional duties included interfacing with customer quality requirements, as well as management of the word processing group, printing department, technical illustration group, and technical writing staff. I held a SECRET security clearance for work with Varian Associates in 1982. 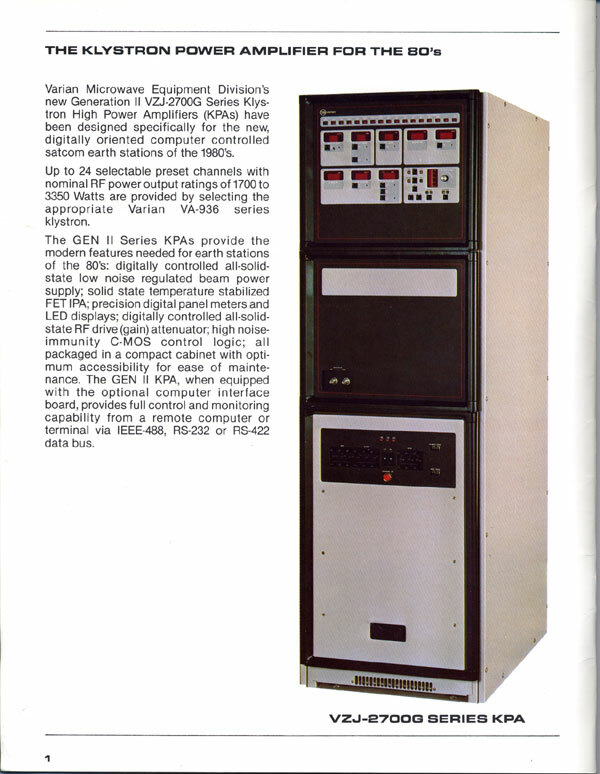 The Varian Series VZJ-2700G Gen II Klystron Power Amplifier. This was the last system I worked on at Varian. I wrote both the Operator's Manuals and Maintenance Manual for this beauty. I implemented the FIDS methodology. It took a bit longer to produce the manuals, but once management saw the results, they were very happy. I was employed as a Senior Technical Writer at Applied Research Laboratories (A Division of Bausch & Lomb) from 2/80 to 6/81 . Duties included documentation of Optical Emission Quantometers, X-Ray Fluorescence Quantometers, Ion Microprobe Mass Analyzers, Inductively Coupled Plasma Spectrometers, Scanning Electron Microprobe Quantometers, and Quantotest Metal Analyzers. 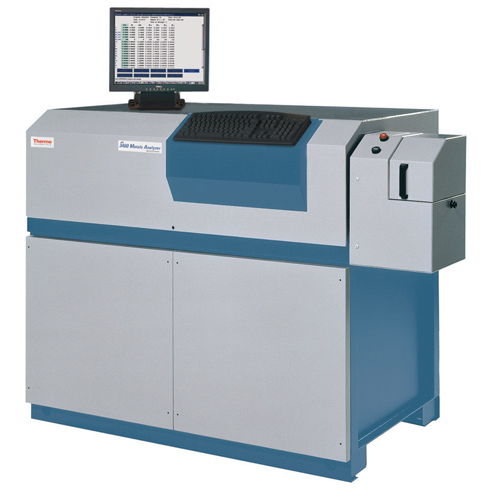 Responsible for all software specifications and manuals conforming to FIDS specifications for ARL, ARL-DIANO, and ARL-SEMCO computerized spectroscopy systems. I was responsible for researching, documenting, and developing detailed operator procedures, maintenance procedures, troubleshooting procedures, fault isolation procedures, and operation checklists for all technical documentation. Source material was derived from engineering drawings, specifications, and electrical schematics. 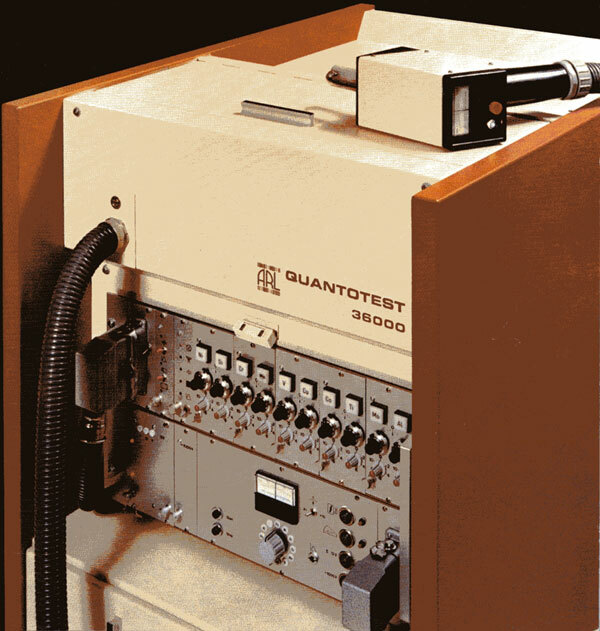 I taught training courses at U.S. Steel in Lorraine, Ohio on the use and operation of the Quantotest 36000 Metal Analyzer. 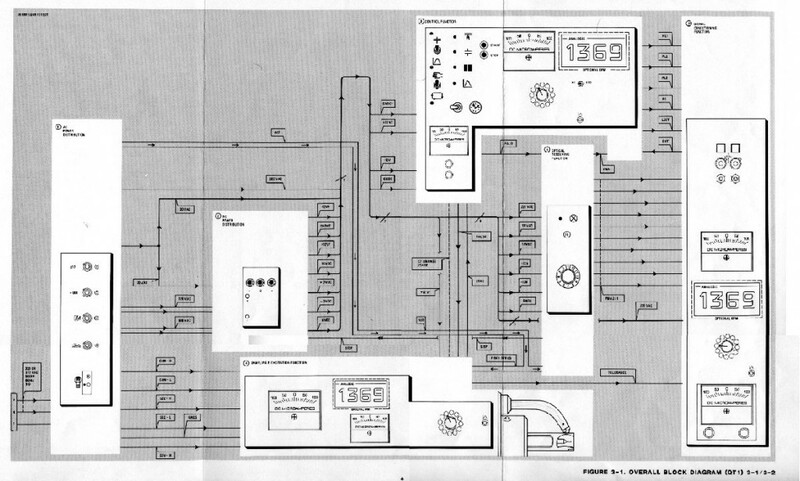 This is the Functional Block Diagram from the Operator's Manual of the ARL 36000 Quantotest. A dedicated team of professionals was assembled by Ray Little (Manager of Publications) to produce these beautiful manuals for ARL. The detailed block diagrams, fault isolation charts, and troubleshooting procedures were all produced by hand, using pen and ink, and made camera-ready. FIDS manuals were as expensive as they were comprehensive in the early 1980's, before the advent of desktop publishing. Thermo Scientific purchased the ARL division from Baush & Lomb, and now produces most of their previous products. The Thermo Scientific (ARL) 4460 optical emission spectrometer is the solution for ultimate analytical performance in varying laboratory conditions or in hostile environments. 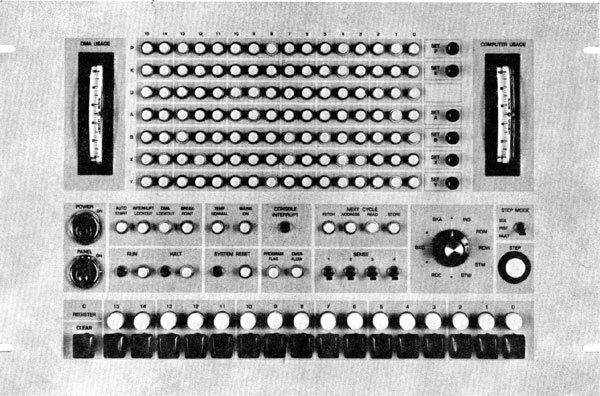 I wrote parts of the User's Manual for this instrument. I was employed as a Technical Writer at Ocean Technology, Inc. from 1/79-2/80. I documented computerized signal data converter equipment for the TRIDENT Submarine Monitoring Subsystem and the Digital Display Group, in support of the U.S. Navy carrier-based Message Distribution System. I was also responsible for teaching Navy personnel about the equipment use. 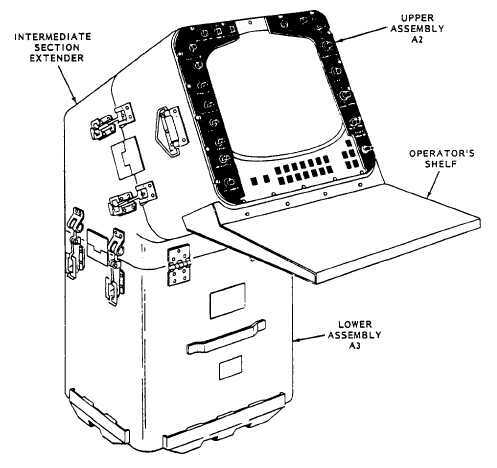 I was project manager for the AN/UYA-9 Data Display Group Central and Remote Terminals, as well as the MK75 Mod1 Signal Data Converter. I held a SECRET security clearance for work with OTI in 1979. 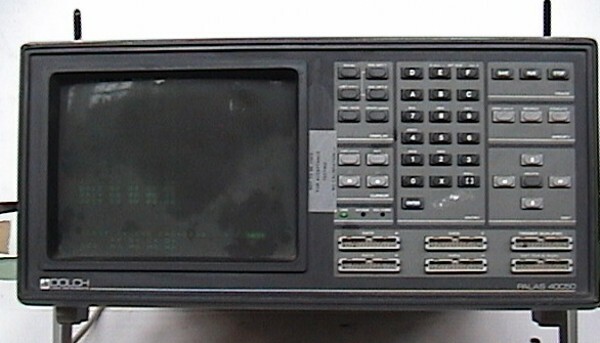 The MK75 Mod1 Signal Data Converter provided the primary interface between conventional equipment by multiplexing analog information into a single digital data stream for use by the MK75 Mod1. The MK75 Mod1 allowed the maintainer to localize faults quickly by using built-in-test (BIT) and test messages for circuit and module checkout. The SDC was designed for installation inside the shipboard radar room. It was mated to the radar (triggers), antenna azimuth, ship’s gyro-heading, and ship’s speed or distance (ship’s pit log). The SDC conditioned and multiplexed the various data inputs from the ship. 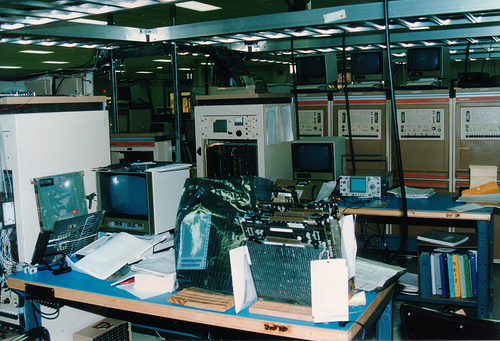 A room full of old Quotron Systems equipment, circa 1982. I was employed as a Technical Writer at Quotron Systems, Inc. from 8/78 until 1/79. Quotron Systems provided stock quotation services and financial information to the brokerage industry. I documented the operation of computer systems, test, diagnostics, and hardware/software applications. Duties included management of repro-typing, library, and publications personnel. I also instructed users on Time-Shared editor software and established procedural guidelines for data center operations for the system. I documented the Best Price Switch System for the Merrill Lynch Pierce Fenner & Smith Company, designed to accept input from two sources and respond with market routing for MLPF&S market orders. Here's a closer look at what I had the pleasure of writing user's manuals for. Yes, those are actual registers to program!